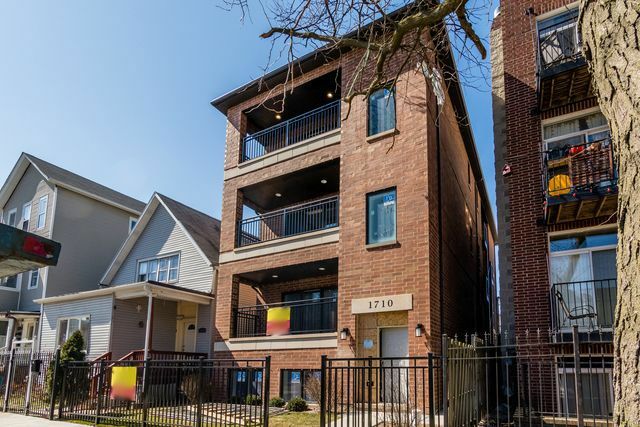 Beautiful, new and spacious duplex available now next to the 606 trail. 5 bedrooms and 3 baths. Private balcony. Dining room adjoined with a modern, sleek kitchen with all stainless steel Bosch appliances- great for entertainment. Beautiful stained hardwood floors, gas fire place, and in-unit washer and dryer. Large family room downstairs and rear private patio. Unit comes with one garage parking space. Building sits on an over-sized lot, therefore the unit is wider than most. A couple of homes away from the 606 trail, Humboldt Park, wicker park, and buck town and restaurants.